Welcome Current and Prospective Online Students! Our team works to provide comprehensive student services and support for all online students matriculating in UA Zuckerman College of Public Health’s online programs. Services include, but not limited to, pre-admission counseling, guidance related to degree requirement deadlines and internship completion, and academic success coaching. We’re here and happy to help you reach your goals of becoming a competent public health professional. Feel free to schedule a time to chat! Serves as the academic advisor for all undergraduate students in the fully online program. 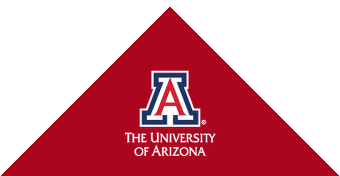 Works in collaboration with Arizona Online to actively recruit new students, both from community colleges in Arizona and across the U.S.
Coordinates and supports the student, faculty, and academic activities of the undergraduate public health program in Tucson and with Arizona Online. Supervises undergraduate academic advisors. Serves as the MEZCOPH representative to the UA regarding undergraduate program matters. Directs the fieldwork-based internship course (HPS 493) for public health undergraduate students. Coordinates policy and procedures for the online MPH, monitors course development and updates, tracks student enrollment and progress, and evaluates program outcomes. Dr. Willis also serves as faculty in the Department of Health Promotion Sciences and as internship advisor for the online MPH internship course.